26 years ago, a virtual unknown was thought to be the mastermind behind leaving an indelible mark on skateboarding, changing the way we previously thought it possible to travel while grinding on our front truck. Then after a couple of photos in magazines and a 4 minute debut opener part of literally all single clips – (just think about that for a second) in H–STREET’S Next Generation video, he seemingly disappeared. Talking to a few of the people he grew up skating with, the same descriptions kept resurfacing. A nice, albeit quiet guy, who, once warmed up, was always keen for some deep conversation - Just not really about skateboarding and the gossip vine attached to it. His humble and philosophical nature left a calming and thought-provoking effect on all who had the pleasure of meeting him as did his fluid style on board. Quietly the innovator, pushing the boundaries of what was conceived possible on a skateboard in the early 1990s, for some, Dan left the game all too early. For him, skateboarding was an enjoyable pastime he just happened to be ridiculously good at, and leaving a pro career behind was not the end of the world, more the beginning of a new chapter. In light of these attributes, getting Dan to talk about skating has always been tough. Much like the small chunk of footage he left behind, conversations on the subject leave you always wanting more, and stories of his era that anyone from that period in skating is rabid for, quickly and innocently drift into entirely different and far more distant topics. After 23 years since last hanging out, I caught up with him on a cold but sunny Czech winter morning in the grounds of Prague castle, and talked loosely about trying to put down a few words specifically about his time in skateboarding. A year or so later, it happened. So, with that ever admirable (and sometimes frustrating) sense of humility, he kindly divulged the following…. Ok Dan, firstly thanks for taking time out to do this. Lets start off with a simple one. When did you first pick up a board and what motivated you to pursue it? Yeah, good point about the accessibility, I think a lot of us will agree there. From the coverage you did have, it would seem you hail from the San Diego area but would I be right in presuming Peterka is of Czech origin? I wasn’t from the San Diego area. I grew up skating in the South Bay cities of Redondo Beach, Hermosa Beach, and Torrance. My link to San Diego came as a result of developing friendships with Kien “Donger” Lieu, and John Reeves. Yes I have Czech roots. 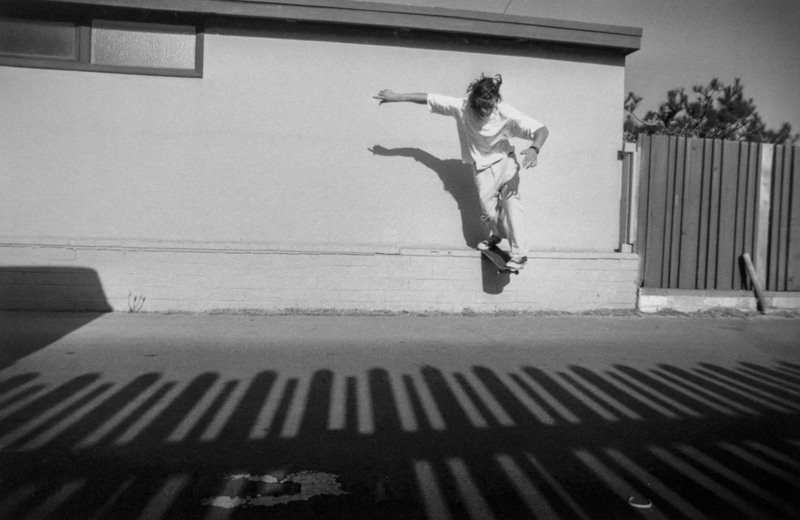 The South Bay certainly had its fair share of amazing spots and talented skaters coming up in that period. Where and who were you rolling with back then? I was skating a lot with Max Evans, Jeremy Klein, David Griffin, Eli Gould, Daewon Song and Eric Ricks. Those were the ones that I’d regularly see around, to name a few. 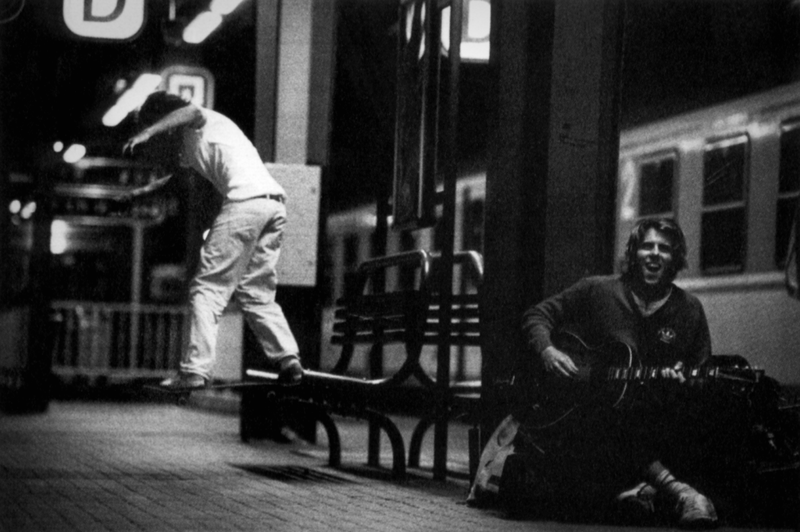 Being part of H-STREET during its heyday was every skaters dream. How did you end up on the team when they were based in San Diego, and you were making your mark an hour or so North? H-Street sponsorship, was kind of just luck that I happened to be in San Diego when Mike Ternasky was filming John Reeves and Donger. (Who had recently gotten sponsored by them). He was interested in my skating and asked if I would go film with them over the next few days to see if I could hang with the rest of the boys, which ultimately lead to me also joining the team. How was the filming process with Mike Ternasky? Was it as intense as people have said? There's no doubt his methods would have had the opposite effect on some when put in that football coach type scenario. Judging by your answer it worked with you, which brings me to your absence in “This is not the new H-Street video” ….was there a reason for you not featuring in that? The famous H-STREET house has been the source of many a rumor and crazy story, girls being shared around and other party fuelled mischief. Were you ever a resident during that period? 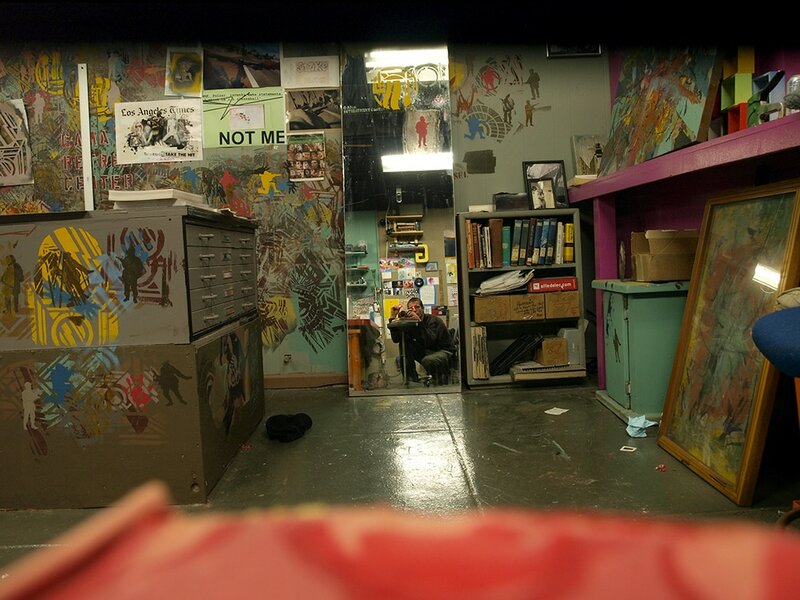 Care to enlighten us on the background of that place? I was a resident, but I had a girlfriend so I didn’t partake in any shared exchanges. But the house was like a crash pad with very little adult supervision. Haha yep, I’m sure those walls could tell some tales. HE MADE YOU WANT TO PROGRESS. PETERKA WAS AN INNOVATOR TO THE STREET AND MADE IT LOOK HELLA TIGHT. RESPECT. ONE LOVE". Your iconic, bright yellow/black zig zag Charlie Brown graphic was pure genius and without doubt a best seller at the time. Enjoi even re-issued a tribute to it a while ago complete with pressure flip scrapes on the tail and 42mm wheels. Did the graphic reflect your personality and was it your choice or did somebody else make that decision on the art? WORKING OUT MINUTIAE THAT WAS WAY AHEAD OF ITS TIME. I AM, AND WAS A HIGH FAN OF ‘DANA’." Did you foresee the impending demise of H-STREET or have any idea that Mike Ternasky was about to take a chunk of the top guys away to start Plan B? I know the H-STREET team got pretty huge towards the end there. I knew it was inevitable, and Mike Ternasky did offer me a place on Plan B, but I felt bad for Tony Mag and couldn’t really leave under those terms. It's unfortunate, because that’s the point when skateboarding got all politicised and cool clique brigades began to form. TO TRY A TRICK I’D RECENTLY DIALLED. BACKSIDE TAILSLIDE BERYL BANK TO CURB WAS INSANE. Yeah, for sure, I think skateboarders felt a huge unconscious shift around that time regarding that. Hypothetically, was there a ‘dream team’ that you would have left H-STREET for? No, I didn’t relate to skateboarding in that context. That prospect hadn’t fully developed into a viable reality yet, and so it would be hard to imagine what could’ve become an ideal scenario. Your style on board was aesthetically pleasing, synonymous with words like effortless, lazy and smooth. Instagram posts of your footage to this day breed lengthy threads discussing these exact topics. Without question the grace you brought to the table, at the time you did it, was a breath of fresh air. Did you take influence regarding these attributes from anyone in particular? I didn’t try to accentuate my style at all. But I was influenced by people like: Jeremy Klein, Matt Hensley, Jason Lee, Mike Vallely, Henry Sanchez, and Remy Stratton, amongst others. That list is inspiring in itself, love that Remy is in there! DAN IS ONE OF THE MOST AWESOME INDIVIDUALS I’VE EVER HAD THE OPPORTUNITY TO HANG OUT WITH, REALLY LAID BACK MELLOW.. HIS SKATING WAS AHEAD OF ITS TIME, INSPIRING MANY LEGENDS AND CONTEMPORARY NOTABLES. HE DOESN’T GET NEARLY HALF THE CREDIT HE DESERVES. I REMEMBER CRASHING INTO THE BACK OF HIS RED SUZUKI SAMURAI. IT BENT THE BACK IN, BUT HE DIDN’T EVEN CARE. 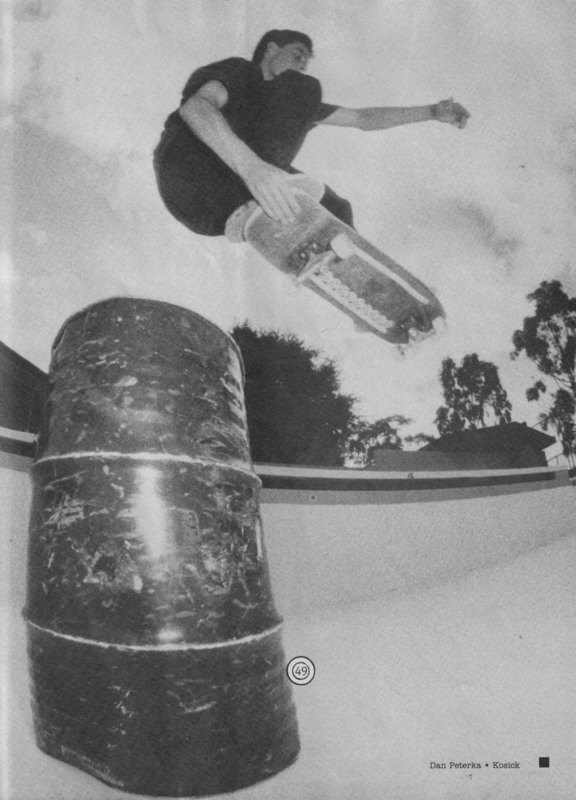 Dave Griffin remembers you kickflip backside tailsliding the Beryl bank to curb at a session there. No cameras, no documentation. 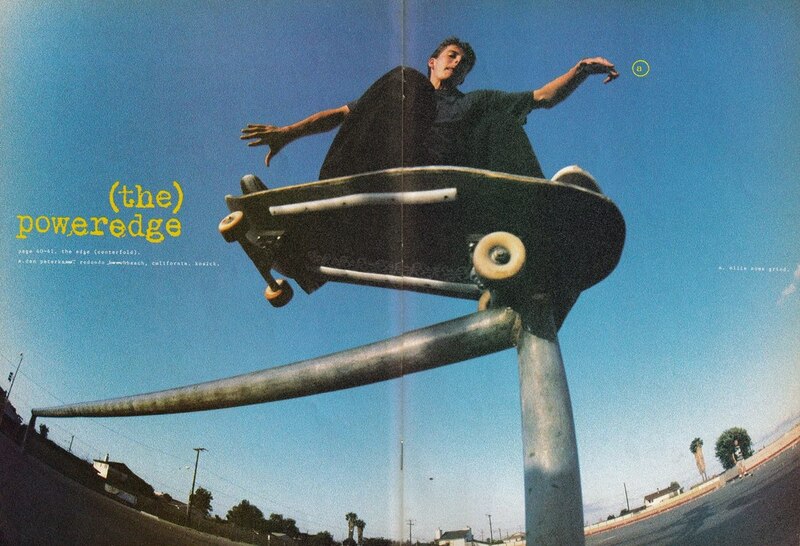 The only other flip that comes to mind on that impossibly hard to skate spot is Rick Howard’s heelflip noseslide. Care to comment? These recollections are heavy brain activity. "THE FIRST TIME MIKE T SHOWED ME FOOTAGE OF DAN I WAS BLOWN AWAY AT HIS PROGRESSIVE STYLE AND FUTURISTIC TRICK IDEAS... DAN WAS A PIONEER, AND WAS THINKING MUCH FURTHER AHEAD THAN MOST BACK IN THE DAY… I HAVE NOTHING BUT RESPECT FOR DAN AND HIS SKATING." What was the most impressive in real life ‘blow you away moment’ you saw in skateboarding and who did it? Watching Christian Hosoi do 69 backside ollies in a row on Jake Piasecki’s vert ramp in Hermosa Beach. Hosoi!! That’s insane!! Makes me feel dizzy just thinking about it. Jake's ramp was one of the only vert ramps for miles around if I’m not mistaken. ​Were you skating vert back then and what was that ramp like? Jakes ramp was 10’ high that had an 8’ mini attached to it. Yeah we would skate vert on occasion. I wasn’t sponsored at this time and back then it was almost mandatory to at least have some formal knowledge of vert. Christian, Todd Congelliere and Mike Smith among others would skate there. Amazing stuff, pretty much a dream session in my book. OK Dan, so you knew this one was coming. We really need to address the elephant in the room here. You are credited with inventing the crooked grind, but it’s never been official. 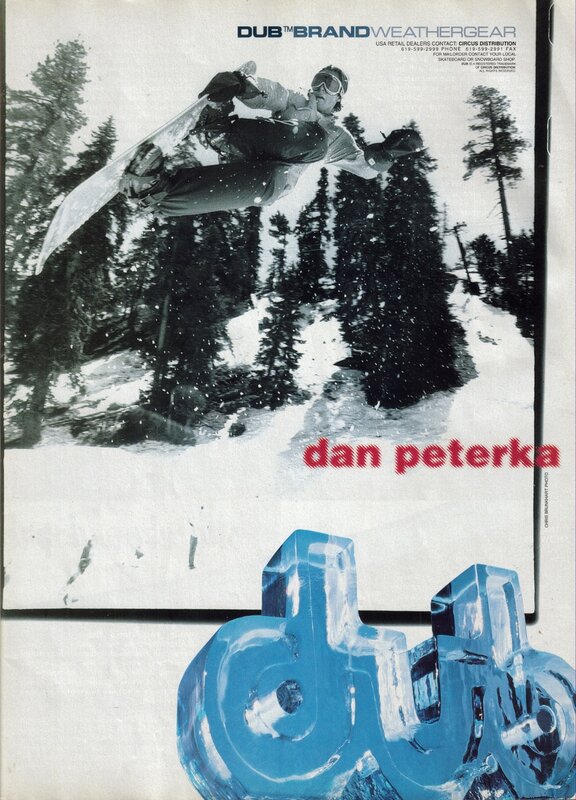 I first remember hearing Brian Lotti calling it a Peterka pointer grind - that pretty much sealed the deal for me. Then it was called the K-grind, presumably after Eric Koston. I then remember you both showcasing the trick in your parts in Next Generation confusing the rumours more. Were you getting all Rodney Mullen on it and reading physics in motion books trying to figure out how your front truck could grind in that awkwardly tweaked position, or was it simply a case of rolling away from a loose front truck accidentally connecting with the ledge while sliding on your nose? Actually I was trying to cross over a double sided curb or ledge via a nose grind. And the only way that it was possible was through that method. Like a noseslide/noseblunt cross over. Me and Eric lived at the H-Street house during that same time period and we often skated together. He was there when it was birthed, and has claims to it as well. Nosegrind transfers... Thanks for clearing that up! "I WAS JUST A GROM COMING UP WHEN I WOULD SEE DAN SKATING AROUND THE SOUTH BAY. HE HAD THE SMOOTHEST LAID BACK STYLE. WE ALL WISHED WE HAD HIS BAG OF TRICKS… FIRST PERSON I SAW KICKFLIP 50 GRIND A ROUND BAR (WEST HIGH). SUPER COOL GUY TO BOOT." Looking back on your coverage, the amount that’s out there is without doubt minimal. Was this a conscious decision or due more to the short tenure you had in the limelight? What was the story behind the word ‘Ugly’ written on your griptape in that Next Generation clip? No story. Purely arbitrary nothingness. Dry humour maybe? Damn, I thought that had more background to it, haha. So, moving on, you had a brief moment with EVOL, the company that rose from the ashes of H-STREET, but that was the last the skate world really saw of you. At what point did you start to shift away from skateboarding, and did it seem like a natural transition to move into snowboarding? Snowboarding was something I did during spring break one year, and I happened to learn it my first run. That got me addicted somewhat and I just started to snowboard a lot that year, but I didn’t consciously choose to not skateboard. I still skated, but it wasn’t really doing anything for me. That was a down time for skating I think, '92-'93. The transition was natural for sure. It was just like skating but more flowing. It was hard to not get consumed by it. Yeah, I guess also having Big Bear and Mammoth Mountain at your back door helped a bunch with that accessibility angle too. 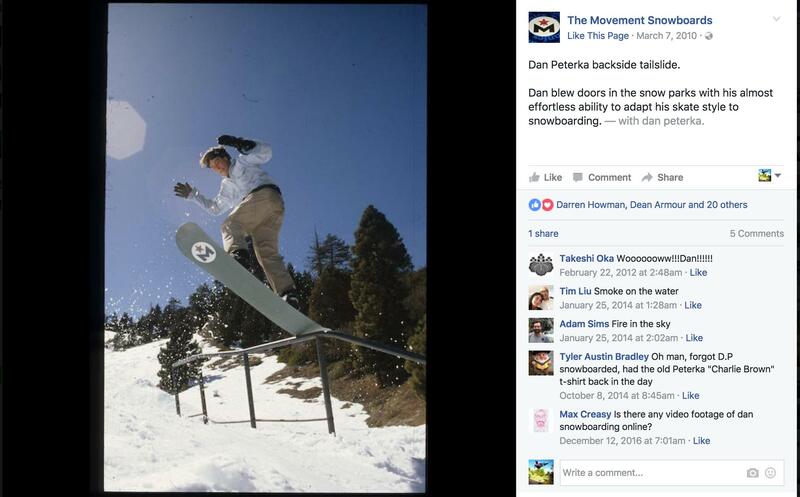 You and Matt Donahue were involved with The Movement snowboards. A brand from under the Mervin Manufacturing house (Lib Tech, Gnu) that was operational from 1995-1999. I read a quote regarding their catalogues saying that ‘they contain more art and photography of the world than any information pertaining to snowboarding or the company’s products’. Ha Ha. Classic stuff. Did you guys have a concept with the company you were trying to present? Yeah it was based on a movement of ideas and expressionism, utilising snowboards as the medium or platform to communicate. Nice. So your art and graphics that you work with today are very unique, do you consider your time at The Movement being a key transitional period into the art and creativity you surround yourself with today? Yes, it was the point in which I discovered some of the tools necessary to create, which ultimately lead to my current state of awareness. Although my processes evolved over the years, so I guess it is more accurate to say that was my awakening. Cool. Do you have any projects of late that you are particularly proud of? 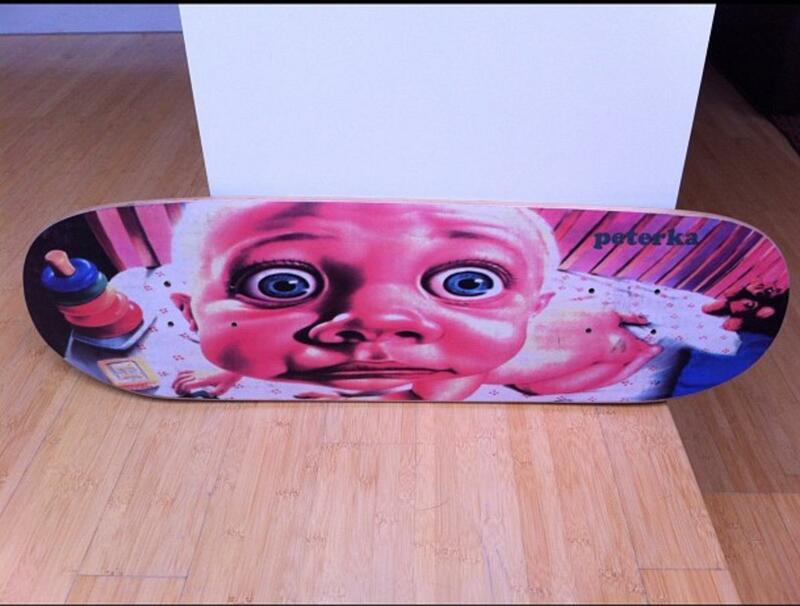 Have you been able to co-lab your artwork with anyone involved in the skateboarding industry? I did a co-lab with Element years ago. They sponsored one of my books: Project Therapy book #3. But I’m kind of low key these days. But skateboarding is the best. It certainly is. I recall you saying you saw Guy Mariano semi-frequently during his downtime years between Mouse and his milestone Fully Flared comeback part. Danny Minnick caught you both on film in that time where it seemed you both were out of the limelight. Were you guys rolling in the same circles back then? I lived in Hollywood and would often see those people around. I was into my own thing, but our paths would cross from time to time. Minnick was probably the link because I rented my house to him and he was always filming and doing the skate thing. Yeah Danny’s videos are still stand alone productions that have stood the test of time, on the topic of videos, do you still watch skating these days? Anyone in particular you like to see footage from? I watch Thrasher site almost daily, and Instagram feeds skateboarding 24/7. I have never really strayed that far from skateboarding. It’s a mentality I think that never goes away. 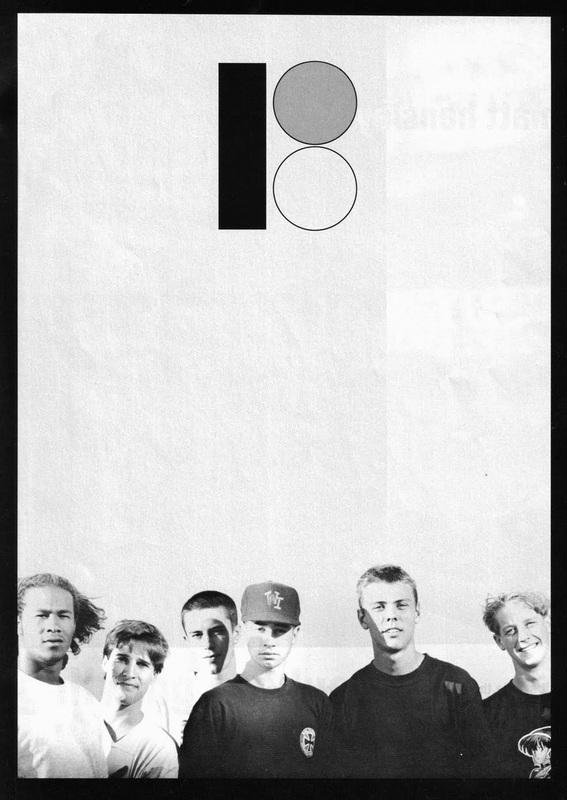 As far as who I like to see skate: Grant, Raven, CK, Pedro Barros etc. Too many to name, but you get the idea. Yeah for sure, those guys are on almost untouchable levels of gnarliness. Does watching these guys motivate to get out on your board every once in a while? I take my kid out to the park and skate once a week. The winter has been brutal this year, so we haven’t been hitting it that much lately. But, the time’s ripe for a more concentrated effort in that department. Though I’m not really about forcing him into doing something because I once had a passion for it.